Another wonderful custom order from the Babes & Babies show. 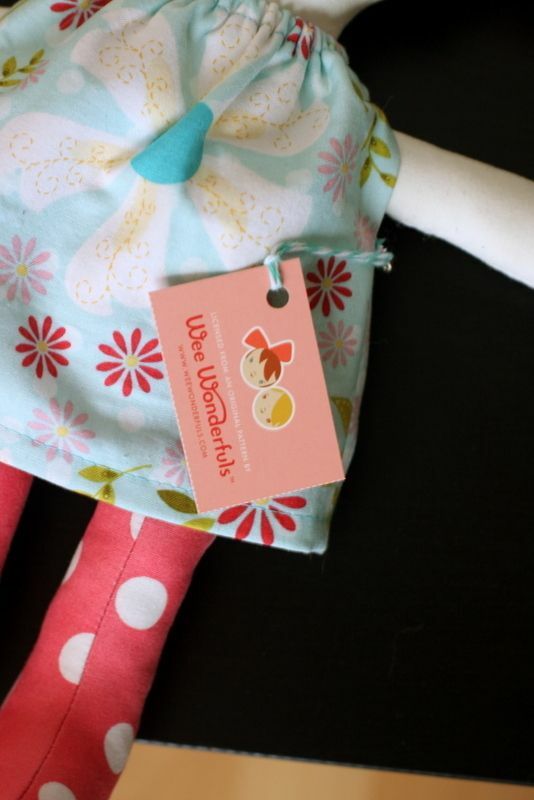 A doll for one of the sweetest little girls I have ever met. Little Sofia came to see my table at the end of the show. 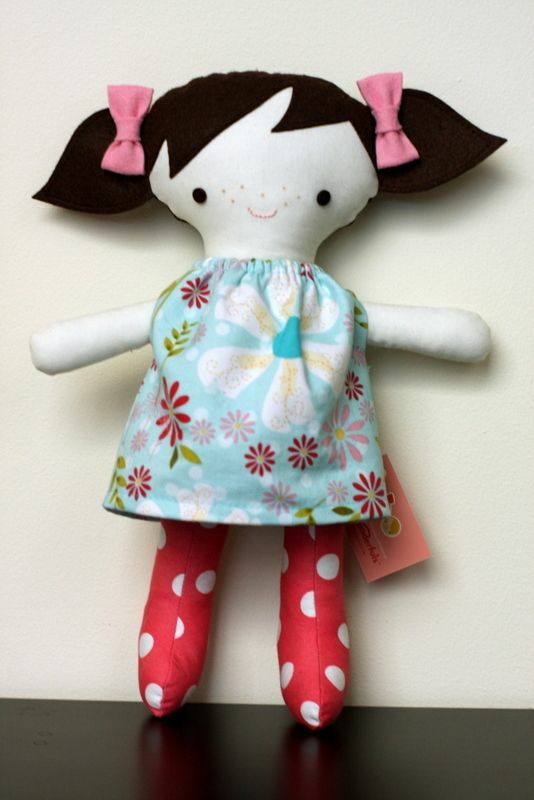 She asked if I could make her a doll that looked like her, and could she please have pink bows in her hair? 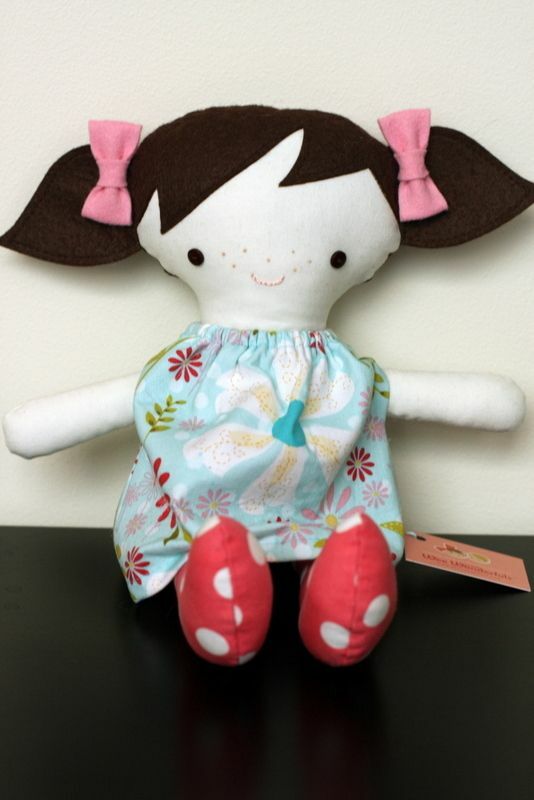 Turns out her mom, Rebecca, owner of Petit Couture, was another vendor at the show. 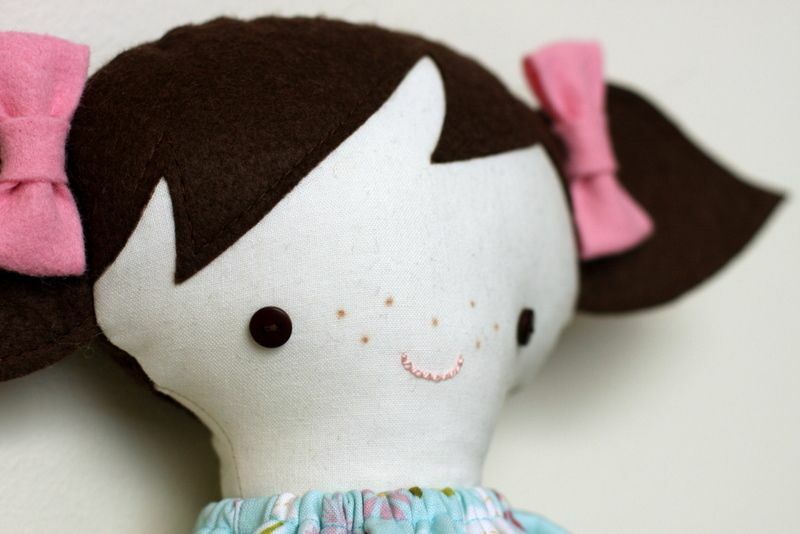 She placed the order and asked if I could include her adorable freckles. Of course I can! I was excited to learn something new! Such a perfect little dolly. I also included Sofia's name- sorry for the terrible picture, I forgot to take a better one before I sent her off. 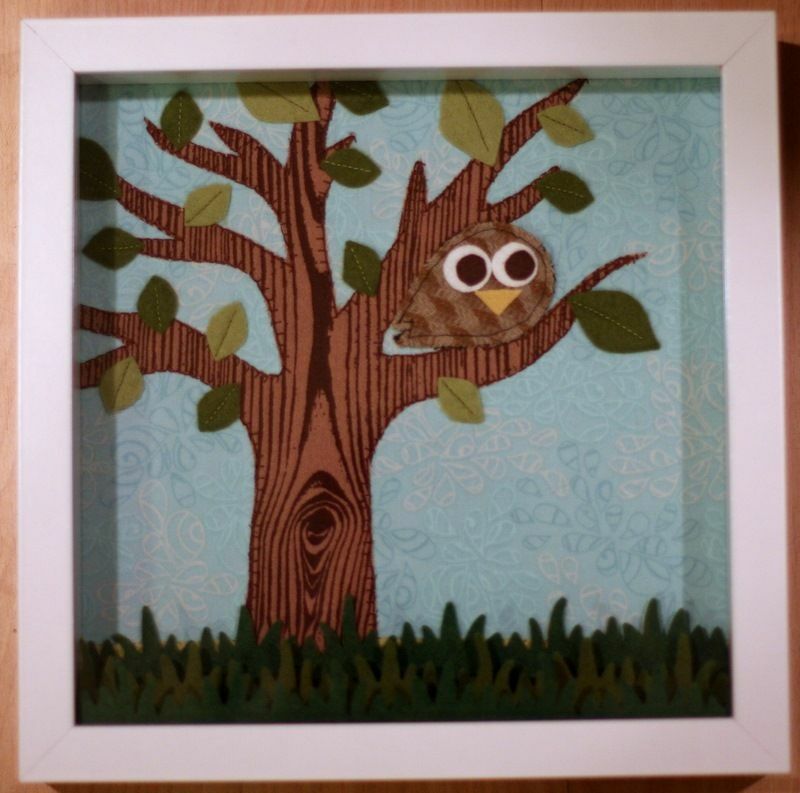 I made this cute shadowbox for Stephanie, whom I met at the Babes & Babies show. She bought the tweet tweet birds one, and wanted an owl one to match. I did a different blue background to coordinate with the other one. Luckily I still had a scrap of the houndstooth wool that I used for the original for the owl. 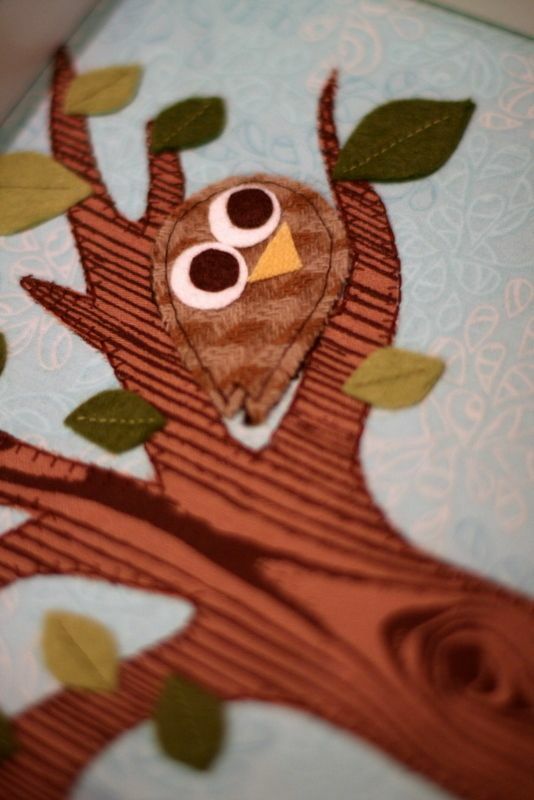 I used the same fabric for the tree and leaves. 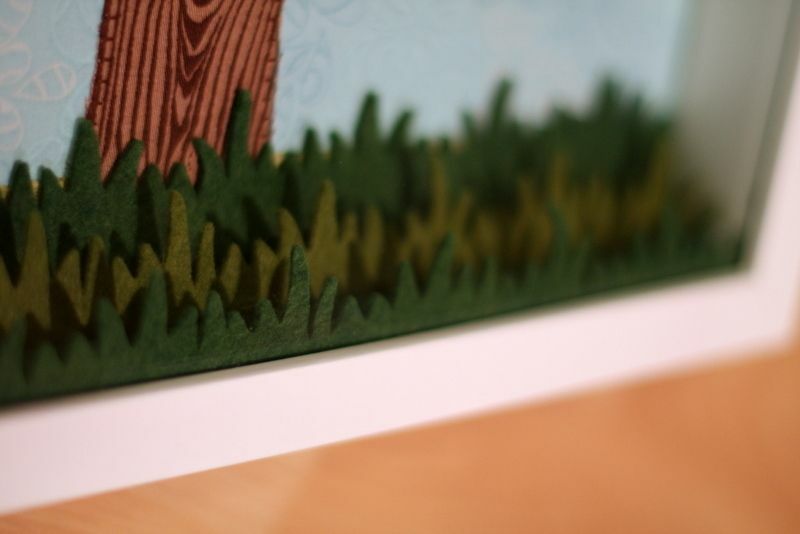 I did the grass a little bit different- it's kinda hard to do the exact same thing when you just make things on the fly, like I did with the original. But having it be unique is part of the art, right? 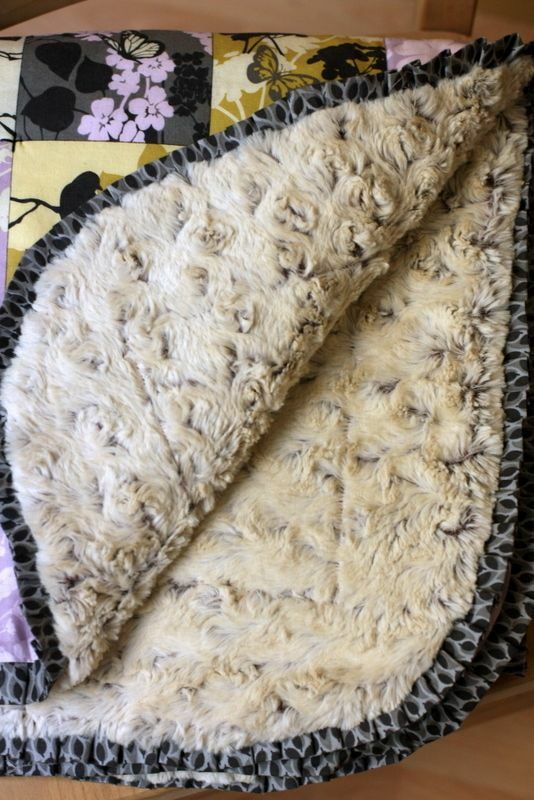 Just in time for colder weather- I got my Prospect Park throw ready to cuddle up in. 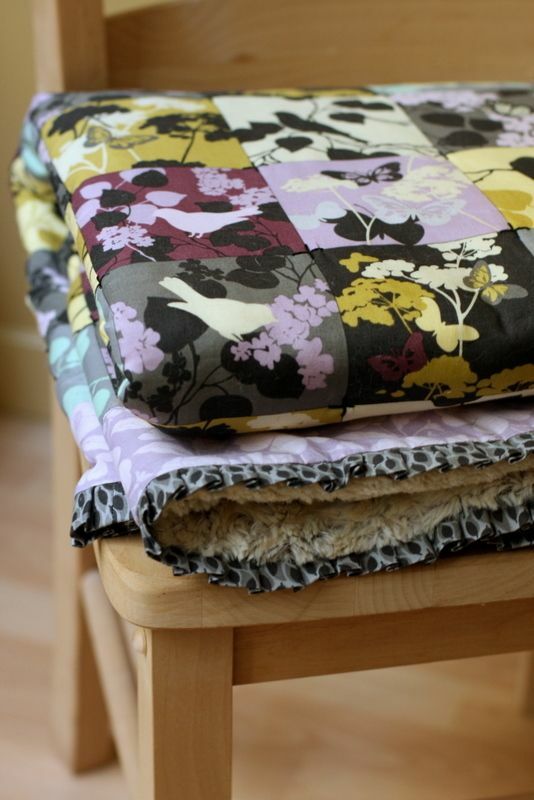 The fabric line is called Prospect Park, it's designed by Kitty Yoshida. Every line she comes out with I absolutley and totally fall in love with. This is the first "big" project I've done with her fabrics. 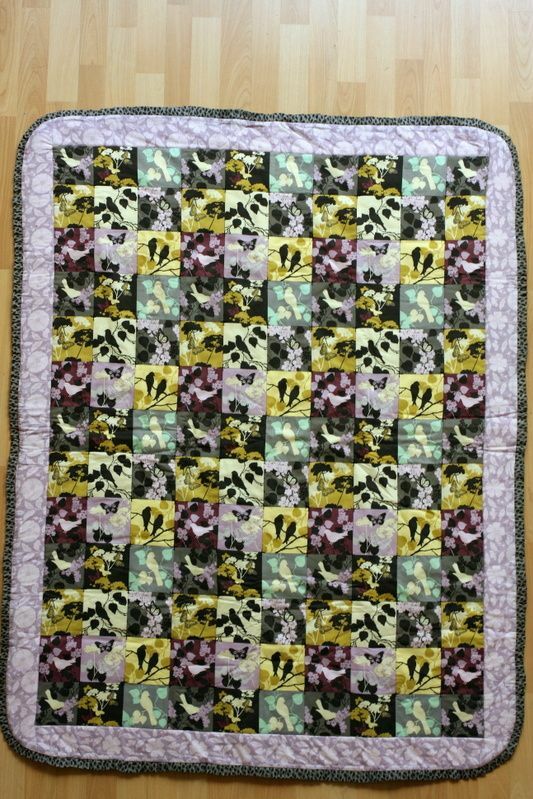 It's a "cheater" quilt, meaning it's a panel that looks like it's pieced. I got the lilac fabric for the border and some grey for the binding. 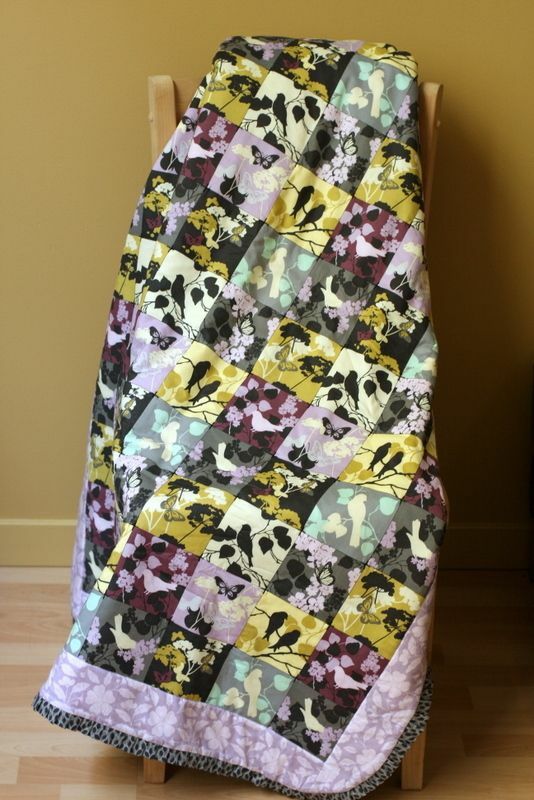 When I bought the fabric I wanted to have it machine quilted. But then we moved, and I decided to "tie" it instead. So for fun- I added a ruffle instead of the binding! I paid an arm and a leg for the swirly minky for the back- but isn't it perfect? I also doubled up on the batting to make it ultra plush. 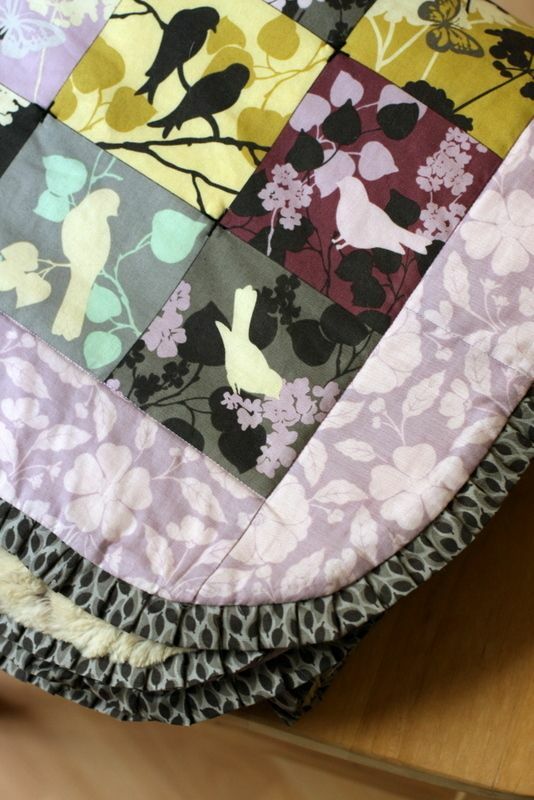 Not that it gets cold enough here to really need this cozy of a quilt, but I don't mind.